Home / News / Lagos State Government Declares Tomorrow June 12 As Public Holiday! Lagos State Government Declares Tomorrow June 12 As Public Holiday! Sunday 11th June, The Lagos State Government joined Oyo, Ogun and Osun states to declare Monday public holiday to mark the June 12 anniversary in the state, saying that the State remains committed to the ideals of the annulled 1993 Presidential election. 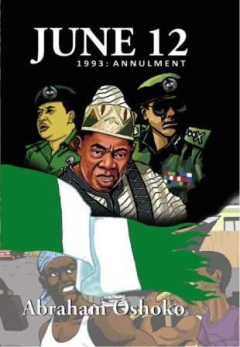 The holiday was in honor of the ideals which June 12, 1993 Presidential election represents being a day that the country experienced an election that was adjudged as the freest and fairest in Nigeria’s history. The Governor said 24 years after, the ideals of June 12 commemoration were worth celebrating, describing the day as one of the most defining moments of the country’s political history which has positively shaped its democratic rule. Governor Ambode said the time has come for Nigerians to go beyond the commemoration and entrench a viable democracy as a way to immortalize the late presumed winner of June 12, 1993 Presidential election, Chief M.K.O Abiola through the practice of true federalism and conduct of credible and fair elections. He said: "June 12, 1993 is a day we must not forget in the annals of our democratic history. Our present democratic experience may still be far from the ideal but we must all make concerted efforts to entrench fiscal federalism which is the only way to achieve true nationhood.” Continuing, Governor Ambode said part of the enduring lessons of June 12 election is that it imbued the patriotic and nationalistic zeal in all Nigerians to speak with one voice to make a political choice devoid of ethnic, racial or social sentiments. “On June 12, 1993, majority of Nigerians across all divides demonstrated through the ballot box that irrespective of class or ethnic sympathies, the Nigerian people are united and would always join hands to promote our unifying values,” he said. Governor Ambode said though the peoples’ hope was dashed with the annulment of the elections by the military junta, the lessons of the elections cannot be wished away despite subterranean efforts by many to do, describing June 12 as the real Democracy Day in Nigeria. “We owe it a duty to genuinely immortalize the fallen heroes of the June 12 struggle nationally and deepen our democratic values to ensure that never again will such anti-people action be allowed to take place”. He also assured that his administration remains committed to the ideals of June 12 by carrying out people-oriented programmes across the State and making life more comfortable for the people. Meanwhile, the State Government, through the office of Civic Engagement, has perfected arrangement for the annual public symposium which will hold at the De Roof, LTV 8 in Ikeja, to celebrate June 12.